Last week I shared 5 Outfits to Perk Up Your Winter Wardrobe and saw many of you were interested in more outfit round up ideas. Hence, today’s post. I’m beginning a new segment on Fridays called 5 on Fridays where I’ll share five roundups from past posts, looks, ideas, etc. Today is all about getting ready for the weekend. As much as I love (always have) getting dolled up unless I have an event or something special I’m very casual on the weekends. Today’s outfits are all inspiration for casual Winter outfits and I’m wearing a pair of boots in each! One of my favorite activities on the weekend is to hop on over to Dilorio’s Farmer’s Markets in Hempstead, TX. It’s about a 20-25 minute drive north of Cypress and an hour from Houston but they are open everyday and have an excellent selection of local grown produce. 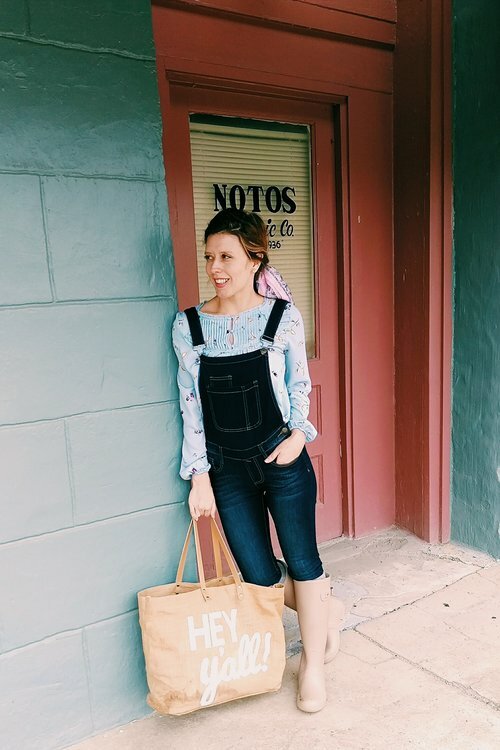 For a fresh take on a pair of skinny overalls, I like to a pair a feminine shirt and neutral rain boots with it. Add a simple scarf to your hair to give an otherwise dull ponytail a special touch! Don’t forget to bring along a reusable tote to take home those fresh goodies! You’ll find two monochromatic white looks on today’s post. This is perfect for museum hopping or just going out for dinner with a group of friends. When you want to look chic but nothing over the top add a pair of over the knee boots and a floppy felt hat. It’s casual and comfortable. I love to wear boots with a block heel for walking. I love adding a pop of color like a pink toggle coat for a little extra. Sometimes there’s nothing better on the weekend than getting in an outdoor walk! For this look you can layer a plain tan sweater and skinny jeans with a puffy winter vest and fur lined boots. 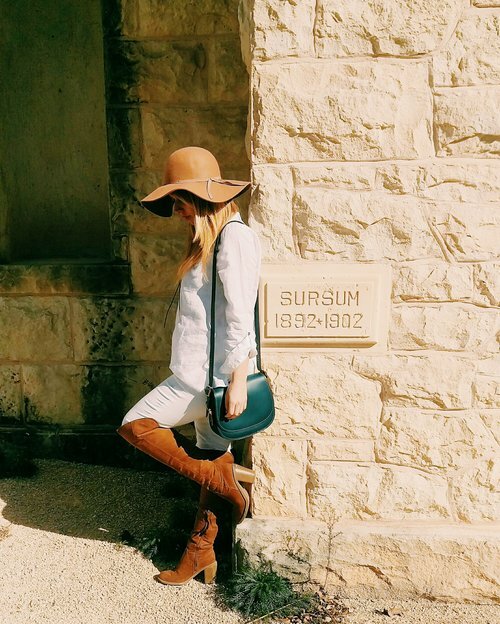 This pair of boots has been a staple in my closet (and on sale for under $50). They are waterproof and warm. I love to add wool socks for an added layer of comfort. 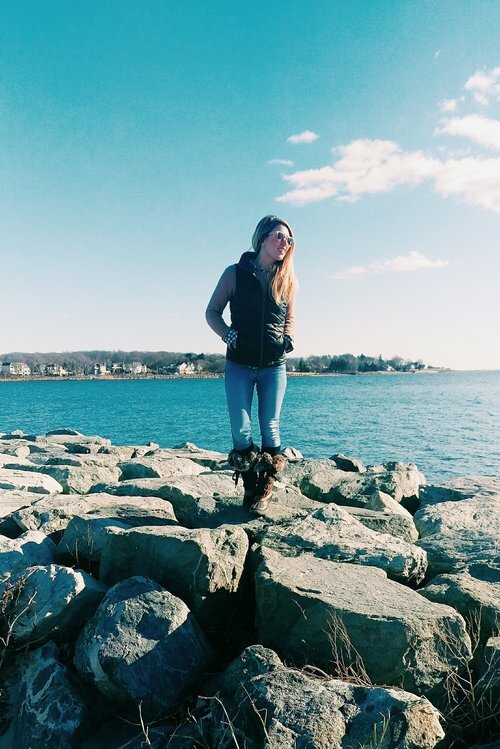 A puffy winter vest is also great when exercising outdoors because it keeps your core warm but doesn’t overheat you in the middle of the day. 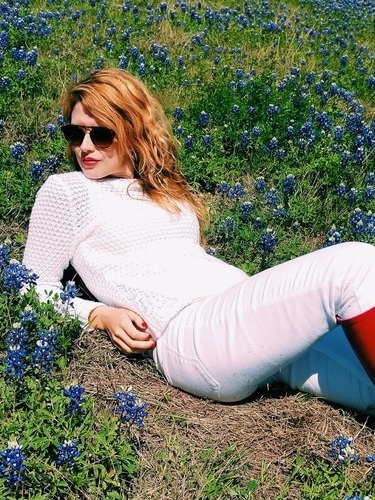 Speaking of a pop of color, you can’t go wrong with classic Hunter boots. 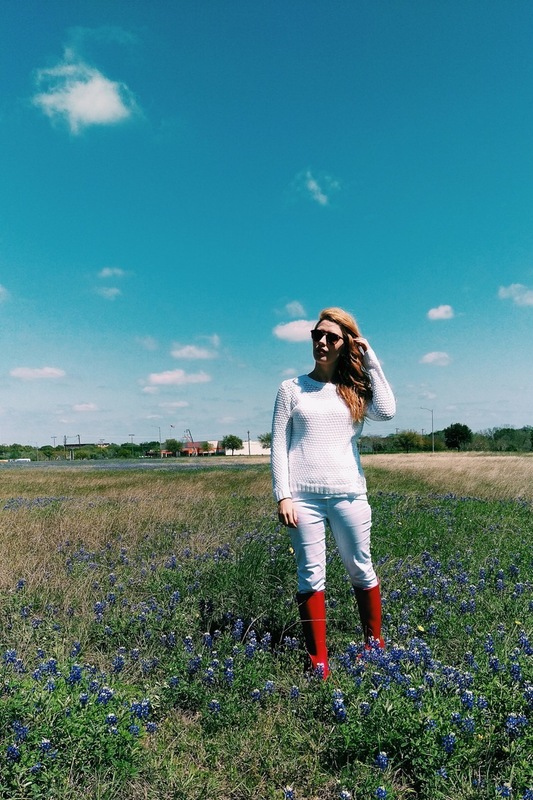 On Three Heel Clicks you will find an affinity for rain boots since the blog is based in Houston and we get a ton of rain being only an hour from the coast. For this look, wear white jeans and a sweater then add a pop of red lipstick and boots for any outdoor activity or rainy afternoon. Rain boots aren’t just useful for rainy days, they also double as outdoor shoes if you are going on a nature walk or even a low incline hike! Distressed jeans and embellished sweaters are another favorite combo! I love the juxtaposition of the fancy top with casual bottoms. Distressed jeans can really dress down a fancy sweater so you can wear it for an everyday activity. It’s also a fun twist on a basic sweater and jeans combination. Also, try a new up do like this halo braid. I have an easy step by step tutorial if you want to give it a try. On the weekends I like to do a lot of activities and I don’t want my hair in my face.